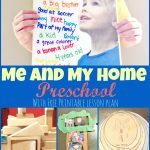 I want to share with you this fun my home seek and find activity that I created to use with our “Me and My Home” preschool theme week. I think that it will be a great gross motor activity. As well as a fun way for your preschooler to highlight some of the features in your home. It is simple to use. Just print off the seek and hunt page. You can find the download at the bottom of this post. Then give it to your preschooler to start the hunt. Help them read the clue in the first box. Then, see if they can locate the area in your home that would match the description given. I tried to make the descriptions pretty general so that most homes would have a place that fit each description. 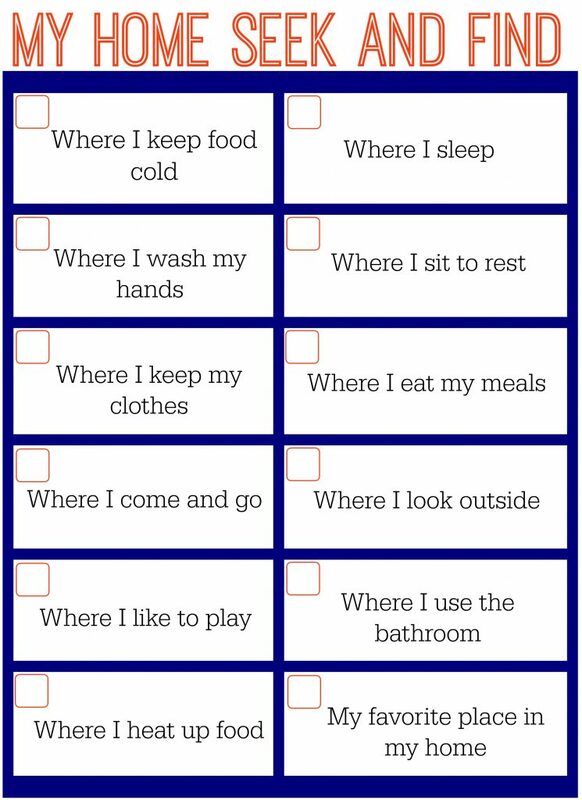 Once your preschooler finds and shows you where the clue would be in your home, they can check off the box and move to the next item on the list. Encourage your preschooler to keep hunting until they find all the places in your home that match each description. 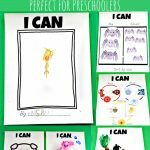 I am excited to use this printable with my preschool and I hope that you will have a good time using it with your preschooler as well. Feel free to download a free copy by clicking the text below. Enjoy! Thank you for sharing your themes and what you guys did. It is so helpful! 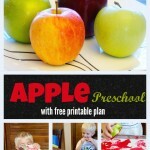 We are just going to be starting preschool this year and there’s so much out there it’s tough to know where to start. This made it much more simple. Thanks again!